Prince William County elected leaders are not surprised by a possible move of the Potomac Nationals (High A; Carolina League), who are pursuing a new ballpark in Fredericksburg, VA.
Last week, it was announced that the P-Nats and the City of Fredericksburg are in discussions about constructing a new $35-million ballpark. A letter of intent between the two sides is set for a Fredericksburg City Council vote on July 10, and if approved by the council will lead to months of discussion over the proposal. P-Nats owner Art Silber has long been searching for a replacement to Northwest Federal Field at Pfitzner Stadium, and discussions last summer were centered around keeping the team in Prince William County. The P-Nats and Prince William County were in negotiations over a proposal to build a new ballpark at Stonebridge at Potomac Town Center in Woodbridge, but those discussions fell apart when the two sides could not come to terms on an agreement. Last year, Prince William supervisors had proposed a county-owned stadium financed through public industrial development bonds. The P-Nats pledged to cover the estimated $2.7 million in annual debt-service payments, while the county promised to spend about $7 million to prepare the site for construction and another $5 million for needed road improvements. Left undecided was whether the county would purchase or rent land from Stonebridge at Potomac Town Center for the stadium complex. The chief sticking point among Prince William supervisors opposed to the plan was that the county would be liable for the $2.7 million in annual debt-service payments if the team failed to pay. The three supervisors most opposed to the stadium proposal– Ruth Anderson, R-Occoquan; Pete Candland, R-Gainesville; and Jeanine Lawson, R-Brentsville — said they too were disappointed to hear of the team’s possible move but do not regret their position. Discussions for the proposed Fredericksburg ballpark will have to continue before the proposal can achieve final approval. If the letter of intent is approved next week, it will be followed by a 120-review period. Should that result in a new ballpark agreement being finalized, the two sides will work to open the facility in time for the 2020 season. 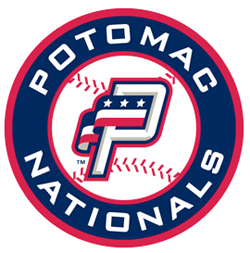 The P-Nats have played at Northwest Federal Field at Pfitzner Stadium in Woodbridge since 1984, when they were known as the Prince William Pirates.